1. Does the reason for the divorce affect how the financial settlement is worked out? 2. At what stage in our divorce do we need to agree a financial settlement? 3. Will any payments I make to my spouse while we are separated affect the final divorce settlement? 4. What effect will it have if I move out of the family home before we are divorced? 5. Are there any precautions I should take during a divorce, for example, to stop my spouse taking cash from our joint account? 6. How much maintenance is a former spouse entitled to? 7. How can I protect my maintenance payments in case my former spouse dies? 8. Can a man claim maintenance from his former wife? 9. What happens if my former spouse refuses to pay maintenance? 10. Is our divorce settlement affected if one of us remarries or starts cohabiting with a new partner? 11. How much maintenance do I need to provide for the children? 12. Do I need to provide maintenance for my former partner's children if I am not their father? 13. Can I settle any financial claims once and for all when we divorce? 14. Can we negotiate a divorce settlement without using lawyers or going to court? 15. How long will it take to sort out our divorce and financial settlement? 16. Who pays the legal fees in a divorce? 17. Do we have to go to court to get our divorce settlement approved? 18. Can I be forced to give up the home when we divorce? 19. Can business assets be included in a divorce settlement? 20. How are any assets held overseas treated in a divorce? 21. Can assets held in a trust be taken into account in a divorce? 22. What happens to a pension in a divorce? 23. How do we deal with assets such as life insurance or endowment policies when we divorce? 24. Can money one of us expects to inherit be taken into account when we divorce? 25. Will a prenuptial agreement protect my assets if we divorce? 26. What can I do if I find out my spouse has assets or income not disclosed when we agreed the divorce settlement? 27. What can I do if I cannot afford the maintenance payments to my former spouse? 28. What is the tax treatment of sales or transfers of assets in a divorce? 29. Are maintenance payments to or from a former spouse taxed? 30. Should I make a new will after a divorce? Very rarely. In general, any financial settlement should be fair and give priority to the welfare and needs of any children. Behaving badly or committing adultery does not affect this. Behaviour may, of course, affect any agreement over who looks after any children and what contact is allowed. Extreme behaviour may be taken into account, for example, if one partner's violence has had a lasting effect on the other. If one partner recklessly or deliberately sabotages the financial position, for example, by spending recklessly or destroying assets, this could also be taken into account. At any time before or after you divorce, although it is advisable to do so before either partner remarries. It is usually best if you can negotiate a settlement prior to the divorce. The court can then be asked to make any relevant financial orders at the same time as granting the decree nisi (when the court agrees that grounds for divorce have been proven, though there is a further delay before the decree absolute finalises the divorce). Not usually. It may be unwise to make excessively large payments to your spouse, because it might be argued that this shows both their need for such payments (or an equivalent transfer of assets) and your ability to pay. Even so, any financial settlement should take into account the longer-term history of the marriage and future financial prospects. On the other hand, if your spouse needs maintenance while you are separated, it would normally be sensible to provide it. 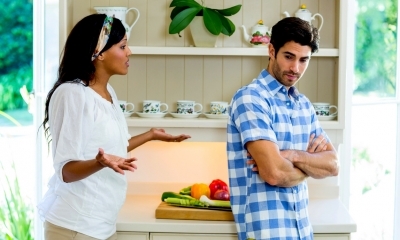 Failure to do so is likely to make your spouse more hostile towards you. Your spouse might apply to the court for an interim financial order requiring you to pay an appropriate level of maintenance. Both of these are likely to increase the overall level of ill feeling - and costs - in reaching a final agreement. 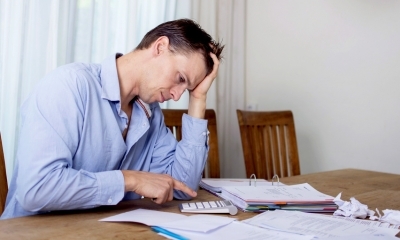 Need help with a financial settlement issue? You will still have the same rights to occupy the home as you had before and can move back in if you choose. There may be practical problems if, for example, your spouse changes the locks. While you will be entitled to get back in, it makes sense to ensure that you take anything you may need - such as important documents - with you in the first place. There may also be other considerations so it is advisable to take advice before moving out. If your spouse can make withdrawals from a joint account without your agreement, you run the risk that some or all of the money will be taken. You will also be jointly liable for any debts run up on the account. If you need access to the money or if you suspect that your spouse may misuse it, you may want to close the account. The same applies to any other form of joint borrowing or spending facility, such as a joint credit card. However, if you suddenly freeze accounts that your spouse needs for living expenses, this will create problems. Your spouse will want you to make appropriate maintenance payments and may apply to the court for an interim financial order. If your spouse is the sole owner of the family home, you should apply to the Land Registry to register an interest in the property. This will prevent the house being sold without your consent. the contributions each spouse made to the marriage (eg by looking after the home and bringing up children). If, for example, two young people divorce after a brief, childless marriage, it might be fair for them to each walk away with the assets they brought into the marriage, with neither paying the other maintenance. On the other hand, suppose a couple have been married for 30 years, with the wife bringing up the children and looking after the home while the husband worked. A fair financial settlement might award the wife half the joint assets, including half her husband's pension entitlement and a significant proportion of her husband's income until he retires. This would reflect the value of the wife's contribution to the marriage as a homemaker and the fact that she would not now be in a position to suddenly start earning a large income. If there are children, their needs - including maintenance - are dealt with separately as a priority. You could take out a life insurance policy on your former spouse's life. As part of the financial settlement, you can negotiate that your former spouse pays the premiums on this policy. If your spouse is paying maintenance for your children, you can also arrange insurance to cover these payments until your children are grown up. You may want to consider other forms of maintenance insurance, depending on your former spouse's circumstances. For example, you could face problems if your former spouse is made redundant or can no longer work for some reason. Alternatively, you may negotiate a 'clean break' settlement so there is no maintenance in the first place. There is no reason why a man should not be able to claim maintenance, for example, if the woman is a high-earner. A fair settlement should take into account the same factors regardless of gender. If your spouse has not been paying maintenance or has been paying maintenance on a voluntary basis, you will need to go to court to apply for a financial order. You can apply for an order at any time before or after the divorce, provided you have not remarried. If there is already an order in place requiring your spouse to pay maintenance, but he or she fails to do so, you can go back to the court to ask them to enforce payment. For example, the court might issue an attachment of earnings order, so that your former spouse's employer automatically pays you. You should take urgent legal advice if your spouse stops paying maintenance. If you look after your children and your spouse is refusing to pay child maintenance, you can contact the Child Maintenance Service. If you remarry without having reached a financial settlement with your former spouse, you may lose the right to make any financial claim against them. He or she will still have the same right to make a financial claim against you as before. If you have previously reached a clean break settlement, the remarriage (or cohabitation) will normally have no effect - you have already made a once and for all agreement. If you are paying your former spouse maintenance (this does not include child maintenance), maintenance ceases if the recipient remarries (but not if the recipient merely starts to cohabit). In any case, if your former spouse's financial position improves, you can apply to the court to stop paying maintenance or to pay a reduced amount. If you are receiving maintenance from your former spouse, you should normally continue to do so after he or she remarries. The welfare of the children - including providing them with a home - is a priority. Normally, this applies only to children aged 16 and under, aged 20 or under and still in full-time education (but not higher than A-level or equivalent) or aged 20 or under where the parent is still receiving child benefit. The courts can, however, require you to provide maintenance to older children who are still in full-time education or who have special needs. Families are normally expected to make their own private arrangements for child support. If you cannot agree how much should be paid, the Child Maintenance Service can work out what payment is due. The Child Maintenance Service can also get involved in enforcing payments. You are going through a divorce or separation. Discuss what assets you are entitled to keep, in a £199 consultation with a solicitor. Receive a Financial Settlement Consultation report, reflecting your particular circumstances. If you have both been treating a child as if he or she is your own, the child is a 'child of the family' and you might have financial obligations. If you separate, the child might continue to live with either parent, and the other parent could be ordered to pay child maintenance. For example, your former spouse could ask the court to order you to provide maintenance for your stepchildren and to continue paying for anything you paid for before you divorced such as boarding school fees. The court would take into account the ability of the child's natural parents to provide financial support. In many cases, yes. For example, a spouse who would have paid maintenance to the other can instead agree to transfer an appropriate lump sum and/or other assets. Of course, this may not be possible if sufficient assets are not available. Once a 'clean break' agreement of this kind has been ratified by court order, neither of you will be able to go back to court in the future to ask for maintenance or further transfer of assets. This gives both partners a much greater degree of certainty and allows them to completely disentangle their individual financial affairs. However, it is not possible to agree a 'clean break' in respect of your obligation to provide maintenance for your children. You may be able to negotiate agreement among yourselves, without lawyers. However, if there are significant assets involved, it is worth taking legal advice to make sure that your interests are being protected. Your lawyer can advise on whether your proposed agreement is fair. Your lawyer can also advise you on the best way of structuring an agreement, for example, trading off property, assets, pension rights, maintenance and so on. In practice, a good solution is often for the two parties to start by sitting down together to negotiate informally. Depending on the relationship and the complexity of the issues to be covered, you may want to involve your lawyers or a trained mediator. Ideally, this will allow you to reach broad agreement, leaving the lawyers to tidy up the details and paperwork. Even if you cannot reach agreement immediately, you will at least know what the problem areas are. Where possible, it is best if you and your spouse can agree a settlement between yourselves, taking into account your individual preferences. If the court is asked to impose a settlement, it may come up with a solution that suits neither of you. However, if your spouse is being unreasonable, you may want to apply to the court to resolve the dispute rather than simply allowing negotiations to drag on indefinitely. Take advice on the best way to approach this. In any case, once you have reached agreement you should ask the court for a consent order. Any settlement, if it is to be binding, will require both partners to give full disclosure of their respective circumstances. Obtaining a divorce typically takes about six to eight months. This includes a six-week delay from the date of the decree nisi (when the court agrees that the grounds for the divorce have been proven) to the decree absolute (after which you are divorced). The process can take longer if anyone fails to deal with the various pieces of paperwork promptly or your lawyer advises to delay applying for a decree absolute. Reaching a financial settlement is a separate matter. How long this takes depends very much on your relationship with your spouse and the complexity of your financial affairs. Often, the financial settlement can be negotiated over the same period as the divorce proceedings, and is then confirmed by a consent order. Even where this is not the case, it is normally possible to reach a financial settlement in a matter of months rather than years. While negotiating a financial settlement you each use - and are responsible for paying - your own lawyer. As part of the settlement, however, one of you might negotiate that the other should pay part or all of their legal fees. You can keep your legal fees down by agreeing as much as possible among yourselves. Fees can mount up if hostile spouses insist on conducting all negotiations through lawyers while arguing over trivial details. You do not have to get a settlement approved by the court, but unless you get a consent order, either of you will be able to change your minds. To get any form of clean break, you must have a court order. If there are no children, the aim is to reach a fair financial settlement. Whether you can retain the home will depend primarily on how many other assets you have between you and what your individual preferences are. If you have plenty of money, you might agree that one of you will keep the home but the other will receive a correspondingly large share of other assets. If your resources are more limited, you may need to agree to sell the home so that you can each buy a smaller property. Where there are children the situation becomes more complex. The welfare of the children requires them to have a home where they can live with whichever parent will continue to look after them. If you have plenty of assets, it might well be ideal if the children stay in the family home while the other parent buys another home to move into. If assets are less abundant, it might make sense to sell the family home so that two cheaper homes can be bought. The problem becomes more difficult when assets are more limited. The children and the parent living with them may want a large proportion of the assets, leaving the other parent with very little. However, a court would be unlikely to consider a very one-sided agreement to be fair. Yes. However, a family business is often looked at as something which produces an income - that can be used to provide maintenance - rather than just as an asset to be shared or sold. There is no presumption that the individual who has built up the business has a greater claim to the business assets. The other partner's contribution to the marriage, for example, by looking after the home and children, might be considered to be equally large. Depending on the circumstances, this might mean that each partner could claim entitlement to about half the value of the business. the business could be split into two separate businesses. Where possible, courts try to avoid ordering a financial settlement that results in the break-up or liquidation of a business. Assets held overseas can be taken into consideration in the same way as any other assets. In practice, a spouse may seek to hide overseas assets or transfer assets overseas to make them more difficult to recover. If you suspect that your spouse is doing this, take immediate legal advice. It depends on the circumstances. Divorcing parties must disclose any trusts from which they benefit or expect to benefit, and the value of these benefits can be taken into account. There can be a grey area where the trustees of the trust have discretion over who will benefit. If one of the spouses in a divorce has previously placed assets into trust, these assets might also be taken into account. Clearly, this will be the case if the spouse who put the assets into trust is a beneficiary of the trust. It may also be possible to make a claim against the trust if it can be shown that the assets are still under the settlor's control or that the settlor created the trust once the marriage started to break down to shelter assets from a claim. Trust law is complex. You should take advice if you wish to place assets into trust or discuss what claim you might have against assets held in trust. Your pension is a marital asset, like your home and other assets. The value of your pension can be taken into account in deciding a fair settlement. arranging that when a pension comes to be paid, a proportion of it is paid to the other spouse. Life insurance and endowment policies are taken into account when agreeing a fair settlement. You should agree how each policy will be handled, whether premiums will continue to be paid for regular contribution policies, and whether the beneficiaries of any life insurance cover will be changed. You may choose to retain individual policies or to sell (or surrender) them. Any policies in joint names will normally be sold or transferred into one individual's name. Early surrender of a policy may result in a sharp fall in the expected value of the policy; any surrender, sale or transfer may also have tax consequences. Take advice on the best option in your circumstances. Usually not unless you are about to receive the inheritance. The basic principle is that a financial settlement should be fair, based on factors such as the individual needs of the partners and the welfare of any children. Where assets are sizeable you should certainly consider having a prenuptial agreement. For example, you might be able to use a prenuptial agreement to provide at least some protection to assets that you bring into the marriage (as opposed to assets that you build up during the marriage). You can go to court to get the financial settlement altered. You can go to court to ask them to change the maintenance order to reflect your circumstances. For example, you might do this if you lose your job and cannot find another one. Assets transferred between spouses are exempt from capital gains tax (CGT). This exemption continues to apply during the tax year in which the spouses separate (regardless of the date when any divorce is granted). Thereafter, any transfer will normally be treated as a sale at market value and subject to CGT (if the CGT annual exemption level is exceeded). However, the transfer of the family home to the spouse who still lives in it will continue to be exempt from CGT in most circumstances. The transfer of a property as part of a divorce settlement is also exempt from stamp duty. Transfers of assets between spouses are exempt from any potential inheritance tax liability. This usually continues to be the case for any transfer made after divorce as part of a financial settlement. Tax rules are complex, so take advice on the best way to minimise the tax consequences of your divorce. If you are over 70 years old, very limited tax relief is available on maintenance payments you make, and only if you are legally required to make them. Younger maintenance payers do not qualify for tax relief. No income tax is due on maintenance payments you receive. Usually yes. When you get divorced, your former spouse is automatically excluded from your will as either a beneficiary or executor (this is not the case if you have merely separated). Unless you draw up a new will, this can have undesired consequences. For example, your original will might have been drawn up on the assumption that your spouse would take care of the children using the money left to him or her. With the former spouse excluded from the will, you might now want to arrange an appropriate trust to hold the inheritance for the children. More broadly, you may want to alter the way assets are shared among the various beneficiaries. If you want your former spouse to continue to be a beneficiary, you must draw up a new will. In some cases, the financial settlement you agree when you divorce may require one or both of you to make provision in your will for your former spouse and any children. This might be appropriate, for example, if you are paying continuing maintenance. Note also that if your former spouse remains dependent on you, in some circumstances it may be possible to challenge your will if it does not make adequate provision for him or her. Your own wishes are more likely to be followed if you draw up a new will that takes this into account. Quickly understand what your legal position is in your divorce. Get a good idea of what the likely financial outcome will be, including dividing up the house, savings, and any pension. Find out what your options are, and what your objectives should be, when negotiating with your ex. Your Financial Settlement Consultation gives you a full consultation with an experienced family law solicitor. You will receive legal advice and a written report tailored to your circumstances, from an award-winning law firm. Contact Brethertons about a Financial Settlement Consultation today!